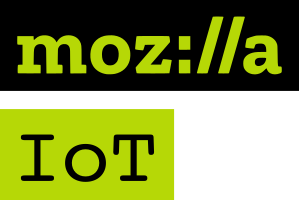 The Mozilla IoT Team is a small team inside the Emerging Technologies department at Mozilla, working on the Internet and Web of Things. We envision an open and decentralized Internet of Things that puts people first, where individuals can shape their own experience and are empowered, safe and independent. Our mission is to create a Web of Things implementation which embodies Mozilla’s values and helps drive IoT standards for security, privacy and interoperability. You can find out more about "Project Things" on our website (iot.mozilla.org) and announcement blog post. This page was last modified on 4 August 2017, at 20:29.